Chocolates are loved by all and they come in various forms ranging from dark chocolates to milk chocolates and all individuals have their own favourite pieces that they grab in all happy moments. Regardless of whether you have become triumphant in a sports tournament or secured a first-class in graduation or whether it is a festive occasion or a family party, chocolates has secured an inevitable part of our lives. Some people, especially kids and young generation would bite a piece of chocolate without any reason: they would buy themselves a chocolate for peculiar reasons which may include their favourite fashion label is giving a huge sale or when the sun has shone brightly after a few days of cloud-capped weather! How would it be if your unconditional love for chocolates could bring you money? 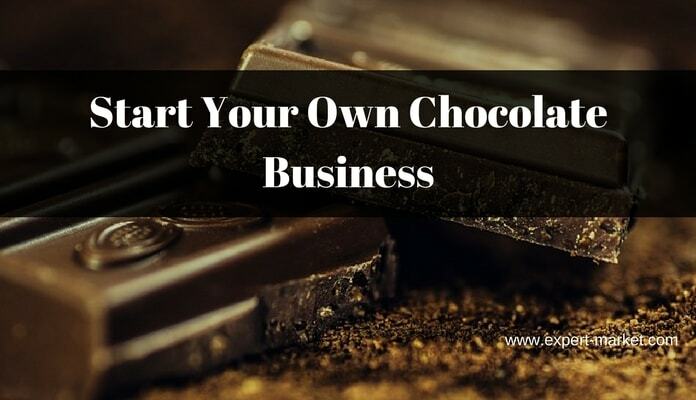 You have spent loads of money since your childhood in buying your dearest pick, now you can earn your living by starting your own homemade chocolate business. While this may make you a bit apprehensive at the start if you do not have solid business plan, you can easily get through the path if you have organizational and management skills along with a sweet-tooth and a taste of exotic chocolates. It would really be fun to do something you love to the core and see your bank account getting splurged with money. Like any other business, you will have to find out your comfort zone in the world of chocolates. Though this may sound quite uncanny because chocolate itself has been your comfort zone; but think of all the items that can be made from chocolates. The list is really endless with chocolate cookies to brownies to fudge to candies to caramelized chocolate bars to nutty rolls to all other tempting items. Therefore, it is very important to find out whether you will be able to handle preparing all of them together or you will specialize in a particular aspect. For this, you will also have to study the present scenario of the chocolate market to know which products are in demand and which ones are lacking in supply. You may follow the trend or be confident enough to launch your own homemade chocolate making business that has been crafted with your wholehearted love and an exotic recipe and sculpt out an altogether new variant of chocolates that would take the world by storm. Once you have found out what you are good at, it is time to setup your business! Give it a name that people would immediately fall for and instigated to give it a try. The name if your chocolate brand should reflect your love and passion along with the goodness of chocolates. Other than the name, the packaging of your chocolates should also be bright and beautiful with colourful shades and dazzling shimmer. It is absolutely advisable to add your personable ideas into the packaging. For instance, you can add tales about how are chocolates derived from cocoa beans, how people came to know about cocoa beans and such other unique stuff. If researching about all these items appears too hectic for you then you may add your personal love tale about chocolates, if you have any fond memories of sharing chocolates with someone special, or if your children have helped you develop the recipe or if it is a traditional formula of your family. By including something exclusively personal, you will be able to establish a bond of empathy and compassion with your consumers which would be really worth it. The market is infested with various kinds of chocolates and therefore your creations must have a name and a packaging that appeals to all, especially kids. They are going to be the deciders of your chocolate’s fate and so you would have to impress them by any means. You will need a license to operate your business and a food-grade facilitated zone where you will make the chocolate. You will have to speak to your local FSSAI authorities about how you may obtain the license and what is required to start your business on a commercial level. Though chocolates are loved by all, in business, you must be aware of a particular group of consumers that you are willing to serve. You must have grown up consuming chocolates from various brands, both national and international. Some are high-priced while others are relatively low. There are quite a good number of big players in the market and their numbers and effectiveness are continuously on the rise. But have you ever noticed the fact that most of these chocolates are charged at a rate in which parents from the lower strata of the society are not able to buy them for their kids. Such children also have their birthdays and they too dream of distributing chocolates amongst their classmates on their special days, but no companies have paid heed to their emotions and desires. So, while all other chocolate companies are busy making high profits, why don’t you target to serve them some happiness and pure joy in the form of your homemade chocolates? This one is purely your personal choice and nobody ever would compel you to cater to their needs and demands. But by taking the road hardly followed by anyone may give you the scope to become successful faster and grab a loyal consumer base that would never fail you. Though you may think that the utensils and appliances you already possess would be sufficient for your business, you would need to get some dedicated pieces of equipment and tools when you are willing to launch a full-fledged business. This is because cooking up delicious delicacies for an evening party with friends is entirely different from preparing the same for the whole population. You will have to bring in apparatus and implements that would make the task a whole lot easier for you and save you time as well. Next you will have to look for a supplier who can supply you with the required amounts of good quality raw materials like raw chocolates, dry fruits, sugar, preservatives, essence and all other things that go into the making of your unique recipe at a wholesale rate. You should look for at least three to four suppliers and ask for quotes from all of them and settle for the one who offers best quality items at a competitive price. Once the chocolates are prepared, you will have to pack them in attractive wrappers in order to increase its glamour and beauty. Though you should give maximum importance to the quality of the raw materials and the ultimate taste of the item, a chocolate with an unattractive wrapper would never be able to create a mark among your consumers. With the rising awareness of the harmful impacts of plastic in our environment, you may choose to pack your creations in eco-friendly items like a butter paper on the base and then wrap it up with creatively designed foils. It will be really unique and set an individual tone of your business. Additionally, you may add playful ribbons and confetti to make it even more charming to the kids as well as their parents. It may become very difficult for you to pursue everything right from obtaining the supplies to mixing them in the right proportion to making and finally wrapping them perfectly. Therefore, you may consider hiring an employee who can act as your helping hand and help you prosper through your business. Alternatively, you may ask someone from your family or a close buddy to aid you through as it will aid you save your operational cost to a great extent. When you are ready with your new products, it’s time to promote them, so that the maximum amount of the population gets to know about your creations. A chocolate would not only need to be showcased through the banners, flyers and billboards, but advertising as television commercials would also have to be opted for in order to get the attention of the population at large. Your social media presence is important though, but you can promote your business by visiting schools and other places where kids visit regularly for their extra curricular activities and arranging promotional camps there. You can gift them some chocolates, offer coupons and small gifts and they would definitely ask their parents to buy them your chocolates. Ask your friends and relatives to give away chocolates and spread the word of mouth. You should also offer a good margin to the local outlets and retailers so that they push the customers to try your products. If the pricing is low and your chocolates taste good, buyers would definitely keep coming for your products, try different types you produce and your business would surely flourish to a point where you achieve your preset goals and get ready for new challenges. As a chocolate entrepreneur, you will see that there are several chocolate firms all across the country and therefore the competition is fierce. Also, there are quite a few international players which means that you will have to stategise your production and marketing plans in order to hold a firm position in the game. Plus, you will have to keep a keen eye on what your rivals are up to and what kinds of items are gaining in popularity and which ones are becoming out dates. It always pays to know about the strengths, capabilities of your rivals besides your own. Simply producing what you can without possessing any knowledge about the market would make it very difficult for you to survive. The greatest upside of starting your own chocolate business is that chocolate has a wide acceptance all across the country and you will never fall short of demands. Be it a grand event like a wedding reception or a birthday party or a simple and usual incident like meeting a mate after a long haul or a reconciliation with the loved person, chocolates have unambiguously made its y in our hearts. No celebration can be completed without the involvement of chocolates which signifies that you have immense scope to make your presence felt among your customers. Plus, Indians have discovered a new resurrection of passion for chocolates. People who are health conscious, look for dark chocolates to savour the exotic taste of chocolates without the added calories. Also, people are becoming more aware of the anti-oxidant properties of chocolates and there are many who gulps in a piece of dark chocolates when they are stressed out. Chocolates are consumed in various forms and homemade chocolates are always favoured for their classic tastes and extravagant flavours and therefore, if you are confident of the relish of your creations, this is the right time to jump in this venture. I wanted to start a chocolate factory in Bangalore so can you please assist me with the details.